The Cache La Poudre River is often regarded as being a hidden treasure in the Fort Collins area, and that is a real shame. Not only is it in some stunning scenery, but there is also the simple fact that this is an area where there is so much to do in your spare time. Exploring the area of the river is easy to do with a number of biking, hiking, and driving routes available. You also have the Poudre trail to check out, and there are various historical sites that are also well worth exploring when you are in this part of the world. In short, you will be able to get out into nature and just soak up the beauty that is the world around you. In addition, you will also discover a wide array of picnic spots for you to check out if you want to just stop for a bite to eat while looking at the views. When you do this, you may even spot one of the many kayakers and rafters that also love to use the river, and if that is something that you are interested in, then perhaps you would also want to have a go? However, if it is something that is a bit more serene, then the river is also widely popular with people that love fishing with it undoubtedly being a peaceful way to pass the day. In order to really take in the beauty of what is around you, it may be a good idea to go ahead and hike one of the passes and to really get yourself into the middle of the ecosystem that forms the hills. Pay particular attention to the likes of the Young Gulch Trail or Grey Rock, and you can rest assured that you will be left astounded with the views that you see around you. 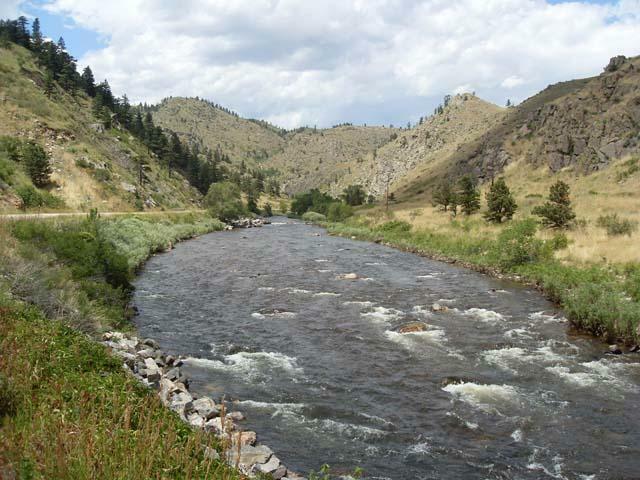 The Cache La Poudre River is a stunning location, and if you are in the Fort Collins area and love to be out in nature, then it is one area that you simply cannot ignore. Getting there is easy to do, and just remember to pack that picnic to add that extra little something to the entire experience.